This idea is kinda a huge change of what is planned as far as villages go and will likely effect other things like village legacy jutsu, but I think it would be cool! So what if ninja animals were playable character options like races In other mmorpg’s. Play as a ninja frog, hound,snake,bird cat,monkey, etc. we take a vote as to the top 5 animals and we make 5 of the 11 villages ninja animal villages. In this way players will learn things like nature energy and sage mode from other players in these villages. These animals would likely be anthropomorphized towards the human side so the character skills and stats don’t need to change to much. Summoning could work as a request to summon when a player is online and a AI replacement of your character when you are offline. The summoning works both ways so we could even allow any experience gained by your AI controlled character while your offline to count when you log back in. Ps. If this idea is adopted it will likely not happen at launch. 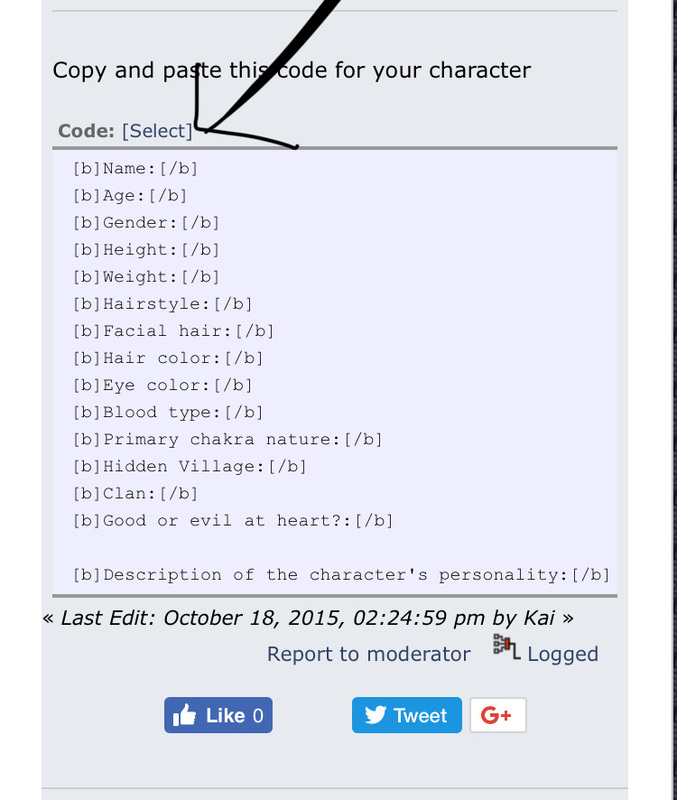 Each village and character options could be its own expansion. This is good for 3 reasons. 1 it cuts the number of villages needed at launch in half (almost). 2 new content after launch will keep people interested. 3 asset reductions. I’m not a modeler but I would imagine that there are a lot less assets needed to customize a character avatar then to build a city!! Since there animal village all you would need is a geographical isolated environment with a couple of caves and streams. No buildings required. At most a couple of sheds. 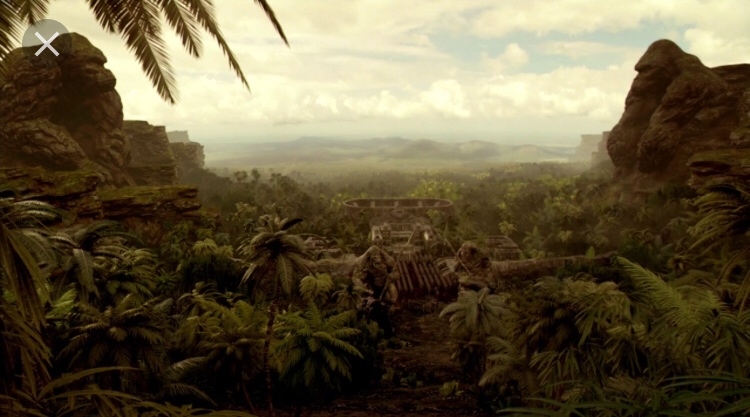 Although I have to say a monkey city akin to Grods gorilla city would be really cool!! General Discussion / Shinobi Striker Hype?? Is anyone else planning on trying out shinobi striker? It is a arena action game with open world mmo elements but only as a way to train jutsu to use In the arena. It is mostly cartoony animation like the storm games but looks like it has more strategy then a brawler!! It also has Summoning jutsu Confermerd!! They will be AI AOE gaurds, some with high impact damage, others with effect damage. It looks like it could be fun!! If any of my clan memebers want to play, I’ll find you by your clan characters name in game. 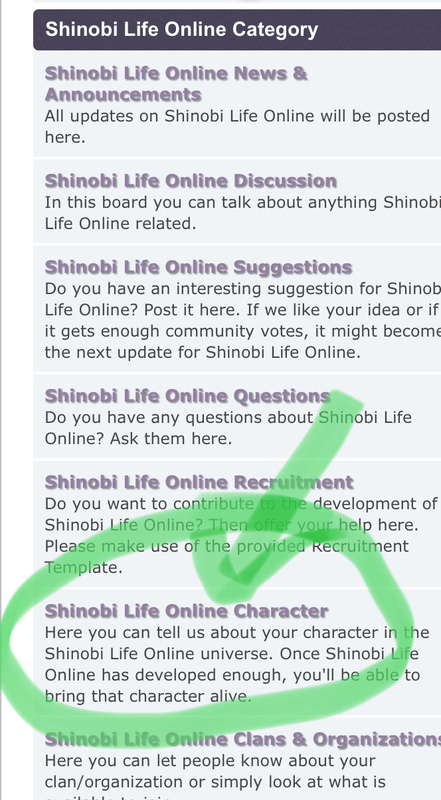 Shinobi Life Online Questions / How to make an online character profile! Shinobi Life Online Suggestions / For all clan leaders. So I was wondering if anyone should be able to start a clan whenever they want? To a point I think they should but I also think players should have the choice of joining an existing clan at character creation. If someone dose not want to join a clan then there free to start one themselves. However I think spacific resorces and actions must be taken to do so. I know there are several unrealistic issues with this idea but it’s not realistic to ask for complete realism from an indi game. And the question we need to ask is will this brake game immersion. Now to address the online clans already on the forum. I think the top 55 clans structured in to the top 5 clans in each village by # of members should be given scrolls at launch. Then maybe spawn 11 scrolls one in each village in random locations a year. So if someone dose not have a large enough group to steal and hold a scroll can still race to find one when they spawn. General Discussion / SLO(W) update!!! It’s bin 360 days since the last dev blog!! I know code migration take awhile but come on!! We have the same map- even though the hidden hill has bin ready Since the last Dev blog! Kenjutsu!! Yeah the same speed based lancer attack that we have had since then too! No new jutsu, stamina, or healing system, and these are very basic systems for a game like this!! What’s worse is that the community is largely died because other games of this type are making leaps and bounds in there development process! They’re still not as pritty as SLO but looks are not everything!! Next update on this thread will be in SEP. 2 2018 6 months from now!! Let’s take a post poll!! Post yes if you think we will have an update before then and post no if you think I will post an update first!! 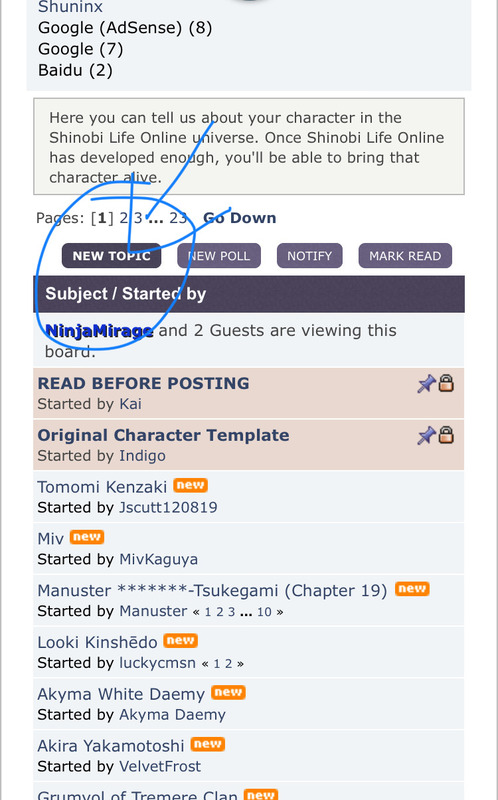 Shinobi Life Online Discussion / If you could pic only 2 jutsu to master!! So this thread has a very spacific perpose. Try and think of the 2 jutsu That would make you unbeatable. This dose not include jinchuiki powers and sage mode jutsu!! Sence they are obviously overpowered. Also leave out any uchiha KKG, this includes rennegon!! I wanted to make this thread to show the devs that it will only take 2 jutsu to make someone overpower if they allow players to use any skill tree they want with out restrictions. Think of 2 that would make you offensively unstoppable, and 2 that would make you defensively untouchable!! KKG are allowed however KKM are not so no particle style, as it is already indefensible, only avoidable. Shinobi Life Online Suggestions / Weapon and items durability!! Should weapons and items have rated durability? Personally I think this is a good way to stimulate economic stability. It forces people to repair or replace used equipment on a regular bassis. It also gives us the opportunity to have jutsu design to spacificly do more damage to items of a certain type. This one dose not have a title but it looks kinda pretty with charicter stats shown!! Post screenshots of you best runs here!! I just started so don't laugh!! Shinobi Life Online Suggestions / SLO training ideas!!!! So if anyone has any ideas for training in SLO please fell free to post them here. I checked the 1st 6 pages in suggestions if there is no thread like this or it has not bin a discussion in a long time. Try to think of ways to make these interesting and not just repetitive. Also if posable think of a way to train multiple skills at once. That being said, I had an idea for training a few different skills. First is the walk on walls skill. I thought this could be kinda like a race Through a city or Canyon. Your trainer shows you how to do it, then races you to the end. If you beet him or make it in a certain time the skill is available to you. To make sure you have to run on walls deep trenches or water traps to slow you down could be part of the course. The lions combo that sasuke used has mid air Taijutsu as part of the jutsu. But you should have to learn these moves before you can do the jutsu. 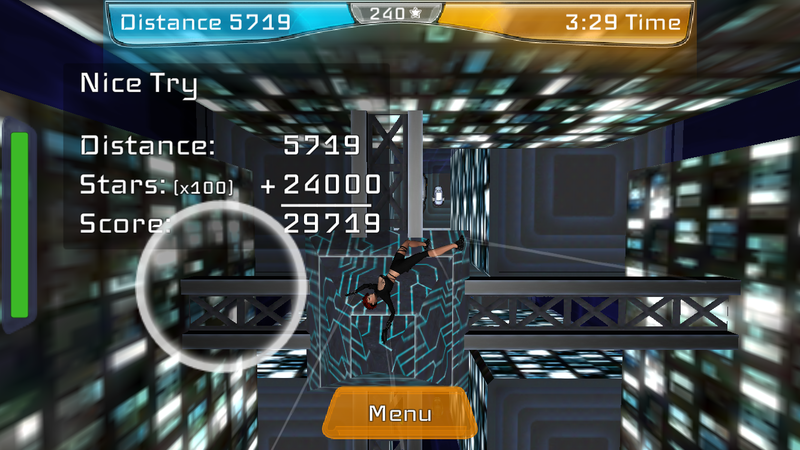 In training - jumping from wall to wall if you enter a certain button combo or directional combo in mid-air you will do some kind of move spinkick or somthing that at the end of the race will grant you a point or somthing in mid-air Movment skills. All types of physical training should have somthing like this. The jutsu scroll will tell you where and how to learn this. But you don't need to wait for the scroll if your mentor knows about it, he can tell you and you can learn it. To make this more difficult but acutely train the chakra control skills associated with this abuility I think these should be auto run sequences. Meaning you mover your character by jumping up, sliding under, strafing left and right, while the terrain and obstacles appears to move past you. This is so you can focus on balancing the chakra for different effects when you need it. Your on the canyon floor with no obstacles in front of you= shift your chakra output on your feet to strong to give you more speed. When a pool of water comes straff on to one of the walls balancing the bouble in the middle to alowe you to grip the wall but not push off. Learning a mid air skill that is at this training sight. The other reason for this is so people can't come up and gank you while your trying to train. Naruto Anime / Favorite naruto personally type? So there's already a thread about favorite characters but I wanted to hear about your one favorite characters personality type, and why? Mine is obviously shikamaru!!! While he may not have the most interesting story or be the most sociable character, his intelligence and the creative use of his limited ability makes him one of the most powerful( in my opinion) of all leaf genin. Also because most stuff is so easy to him he seams unmotivated and uninterested in anything. To start with I will give a short explanation of what Fuinjutsu is!!! Fuinjutsu is the sealing and release of chakra or an object. This can be done on any surface with a set of formulas that specify the function of the sealing. Barrier are formulas that seal the users chakra in an item, or draws on a users chakra through chakra control formed formulas. These formulas can be sustained and manually activated or be triggered by movement or contact with a limited time of use. Space/time formulas are used to seal items or chakra and transport them. This is done in 2 parts sealing and summoning. These can be done simultaneously or individually. But this is SLO not naruto!!! That means there needs to be a element of skill to these jutsu. So we brake it down step by step. First is learning the basics. This can be done a couple ways!! 1 each village should start with a basic sealing and summoning formula. 2 finding formulas- I'm not sure but I think this should be a lore thing- historic knowledge long forgotten if you ask my opinion. Because of the fallowing explication I think this could be a way the game can grant intelligence. Simaler to jutsu these formulas need to be entered like Jutsu- 0-9 keys representing not signs but a language we make up. 26 letters in the English language so 2 number combinations make up a letter. Simply spell out the desired effects with the formula animated on the object. If this is too long the abc=2 and 1-0 keys on the phone could also work. This also should take skill. I'm thinking a balance scale on the horizontal and vertical. Depending on the difficulty of the effects the speed of the bubble will be fast or slow. Once this is done successfully the formula is learned. And assigning it a hot key will alow you to put it anything. Also barrier jutsu using chakra control will automatically be put in your invintory when your chakra control and intelligence reaches the requirements for the Jutsu. Personally I think you should have to practice changing your chakra Form in to the Ruins of the formula but to do that you would have to enter a training area and spell out the formula several times before you can assignee it a Jutsu activation sequence like earth dome or chidori. in this way you can actually tell the game what you want your barrier Jutsu to do. and ill use the phone key language in the example. the block command always takes priority but anything not specified is allowed. soon I will make up a list of Fuinjutsu formula commands for both barrier and space/time. So I was wondering if kill zones will be villages based? Meaning the reagen boundary of your starting village is your safe zone and anything outside of that is a kill zone!! If that is the case I would like to suggest that the safe zone be extended to tarritorys your allies control. This would lower the cost of a resource traid mission between villages and make for more engaging diplomacy between villages.